This fall, MCAD’s Master of Arts in Sustainable Design program (MASD) offered the course Packaging Sustainability, which provides a ground level look at applied sustainability. Using something we all touch everyday — packaging — the course gives students firsthand experience with the product selling environment, consumer behavior, marketing, materials and processes, energy, waste, and supply chains. Bringing all of these areas together in a sustainability context, students offer possible solutions for their semester-long project. 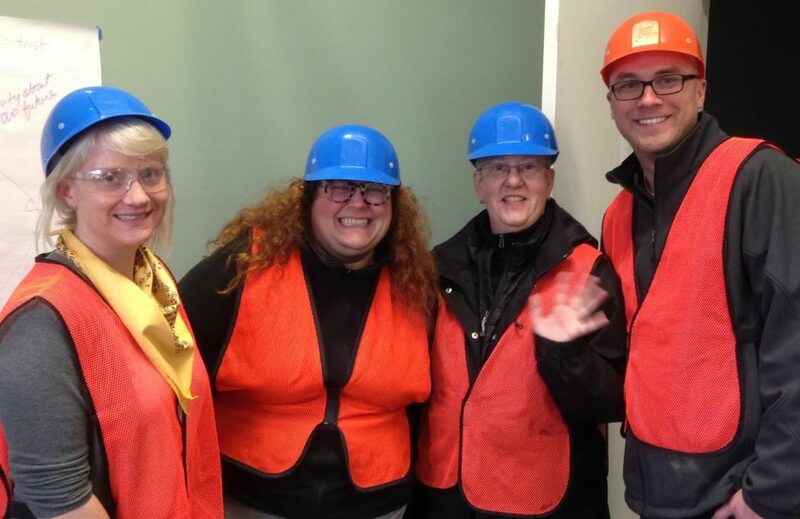 Pictured: Theres (Community Outreach Coordinator and our tour guide at Eureka Recycling) with Megan Graham (MASD student), Wendy Jedlicka (instructor), and Mark Chamberlain (MASD student) from the 2016 Sustainable Design program’s Packaging Sustainability course.